Eric Crawford, Worshipful Master of Holly Lodge No. 134, was announced as the 2016 District 16 Mason of the Year at a recognition dinner on Friday, March 11. Mr. Crawford was selected as Holly Lodge Mason of the Year in November, and was selected from among candidates from Lodges in Linden, Fenton, Grand Blanc, Goodrich, Holly, Ortonville, Clarkston, Oxford and Lake Orion, which comprise District 16. The award was presented to Mr. Crawford by Thomas A. Braun of Cedar Lodge No. 60 in Clarkston, the representative for District 16 on the Grand Lodge of Michigan’s Board of General Purposes. 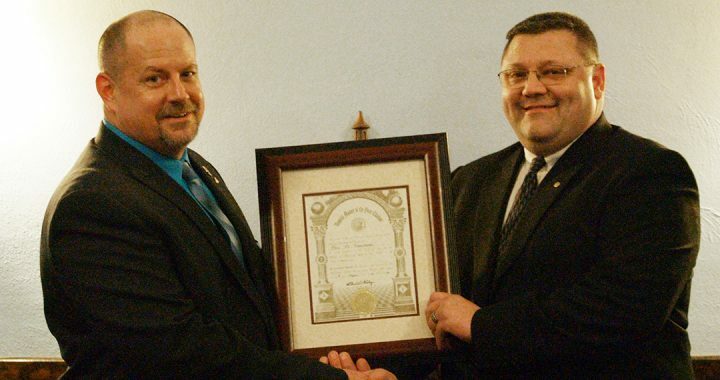 A native of White Lake and veteran of Operation Desert Storm in the U.S. Army Reserves and National Guard, Mr. Crawford joined the Masonic orders in North Star Lodge No. 168 in Wichita, Kansas while serving as a police officer and explosive K9 handler. He returned to Michigan in 2009, settling in Holly with his three sons, Michael, William and Jacob, and immediately became involved with Holly Lodge. Michael and William have also received their Masonic degrees. He also has a daughter, Felicia, in Kansas. He is currently the asset protection manager at Wal-Mart of Fenton, and an owner/partner of Double Eagle Ammunition in Holly. Within the community, Eric serves as a reserve officer with the Holly Police department, and served for several years on the Village of Holly planning commission. He is also a Companion of Durand Chapter No. 139 Royal Arch Masons, Durand Council No. 38 Royal & Select Masons, a Sir Knight in the Durand Commandary No. 21 Knights Templar, and a 32° Scottish Rite Mason in the Valley of Bay City. 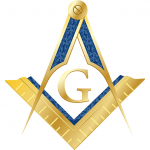 As a District Mason of the Year, Mr. Crawford is eligible for selection as the State Mason of the Year, which is presented at the Grand Lodge of Michigan’s annual meeting in May.